Tiffins is an independant Sandwich and Espresso Bar within walking distance of the city and minutes from the train station. 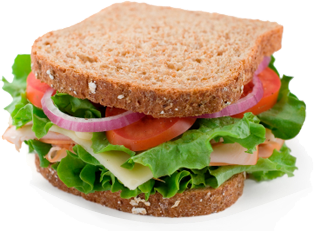 At Tiffins we have a wide range of quality fillings to prepare sandwiches to order, handmade in front of you. We also make to order Panini's, Jacket Potatoes, Salads and Toasties. All our menu is available to eat in or take away. choose any filling from the bap/torpedo price list, add �1.00 to make your own jacket, extra fillings 60p. choose any filling from the bap/torpedo price list, extra fillings 70p.. The bread is delivered fresh every day and the Ciabatta’s are baked on the premises just before we use them. Ideally 24 hours notice is required but we endeavour to fulfil any late orders if we are able too. Just email us your order and we'll have it ready for your collection. Pop in and enjoy a freshly ground coffee from our wide range and take advantage of our free Wi Fi. Tiffins is proud to have been awarded a 5 star rating from Norwich City Council in their Safer Food award scheme.